We Make a Beautiful New Home Affordable! There’s no need to wait to add new siding in the Twin Cities. We offer flexible, affordable financing options so you can start enjoying your “new” home right away. That’s makes it easier than ever to wrap your home in beautiful, durable James Hardie® fiber cement siding, or to replace your drafty old windows with energy-efficient Marvin® or Sunrise® replacement windows. Homeowners have come to rely on Twin Cities Siding Professionals for quality work and professional installation, and now you can turn to us for affordable financing as well. Here are our current financing offers that can help turn the dreams you have for your home into reality, sooner than you had hoped! • No application fee. No closing costs. And no prepayment penalties! Find out how easy it is to make your home look great while reducing heating and cooling costs with new windows or siding. 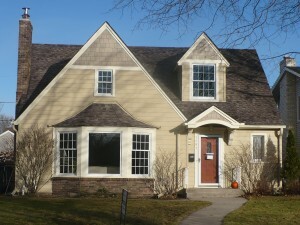 Call Twin Cities Siding Professionals at (651) 967-0873 for a FREE in-home evaluation and estimate. 1* Subject to credit approval. Interest is billed during the promotional period but all interest is waived if the purchase amount is paid before the expiration of the promotional period. Financing for GreenSky® consumer loan programs is provided by federally insured, federal and state chartered financial institutions without regard to age, race, color, religion, national origin, gender or familial status. 2*Fixed APR during the life of the loan. Subject to credit approval. Financing for GreenSky® consumer loan programs is provided by federally insured, federal and state chartered financial institutions without regard to age, race, color, religion, national origin, gender, or familial status. This is the only project I have had done in 12 years that I didn't have to project manage the project manager. How refreshing.